That is Heimgartner’s maiden solo Supercars podium, while Jamie Whincup was among the drivers in the wars after shedding a wheel. Coulthard responded and it was down to 1.3s when the Safety Car was summoned on lap 14, when Whincup’s Commodore lost a wheel and stopped following his pitstop. That will be assessed post-race, but is expected to follow recent similar sanctions of teams’ championship points and a fine. “Unreal. It’s great for the team, one-two,” said McLaughlin. “We just sort of controlled the race from the start. It’s awesome to get a win here again, I love this place. “[The start] was awesome, we were so equal… they were exactly the same. “We tried our best at the start to go around the outside but that’s all I had,” Coulthard said. 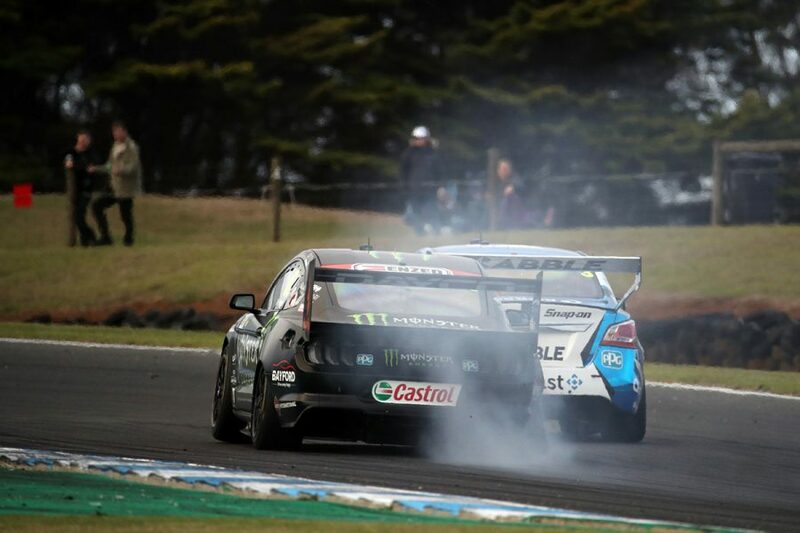 Third is a first podium for Kelly Racing amid a tough start to 2019, while Heimgartner’s only other visit to the rostrum came as a Brad Jones Racing co-driver on the Gold Coast in ’17. “I’m unbelievably happy for the Kelly crew,” Heimgartner said. “We’ve had a rough start to the year and to have that one, it’s great to consolidate the speed. 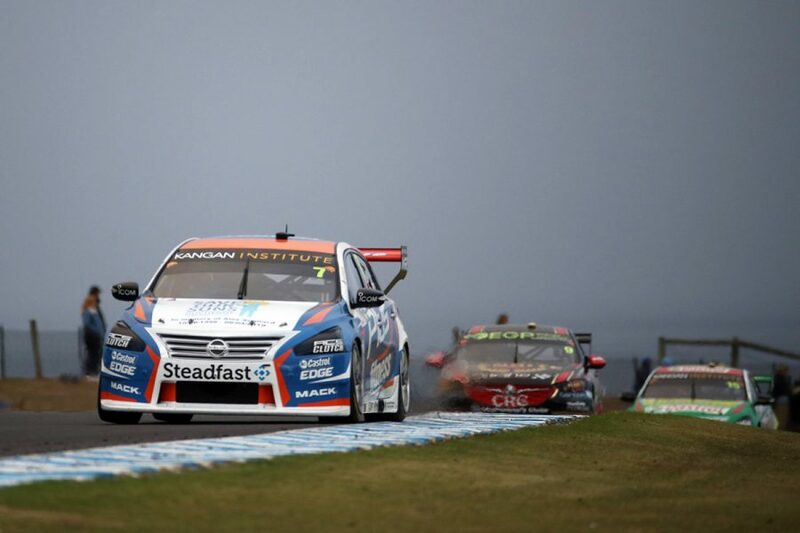 Kelly had to fight Cameron Waters after the Safety Car, and Waters’ efforts to take sixth brought Shane van Gisbergen into the equation. 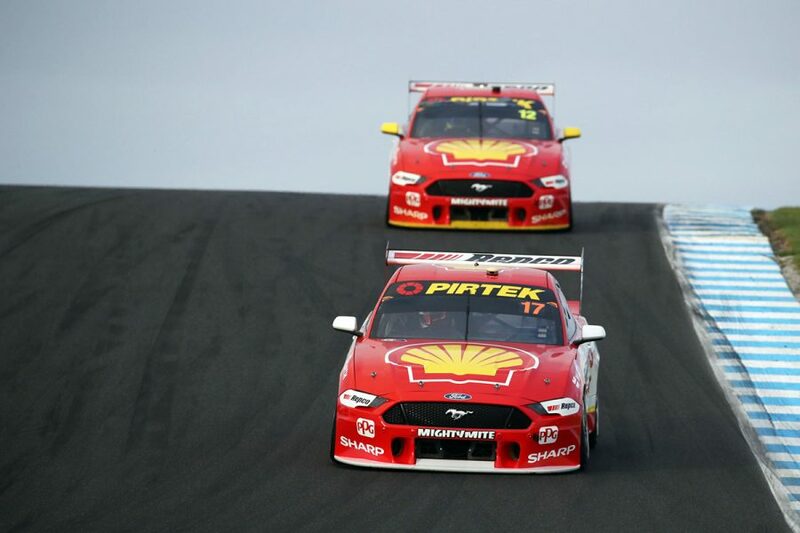 Side-to-side contact between Waters and van Gisbergen exiting Siberia broke the right-rear suspension on Waters’ Mustang, ending his race. Whincup’s weekend did not improve from 17th on the grid. Mark Winterbottom also lost a wheel, a right-rear, while running well down the order, which brought IRWIN Racing’s torrid day to an end.